In a multi-national effort a team of researchers from DESY, the Lawrence Berkeley National Laboratory (LBNL) and other institutes have demonstrated a remarkable feature of self-organisation in a particle beam that can be of great use for a future generation of compact accelerators: Using the high quality electron beam at DESY’s PITZ facility, the scientists could show that long electron bunches can chop themselves into a row of shorter bunches when they fly through a cloud of electrically charged gas, called a plasma. At the same time the electrons&apos; energies were seen to be modulated along each bunch. These results are the experimental proof of a novel plasma acceleration concept pursued by the AWAKE (Advanced Wakefield Experiment) collaboration at the European particle physics lab CERN in Geneva. The team led by DESY scientist Matthias Groß presents its findings in the journal Physical Review Letters. Particle accelerators at the energy frontier like the Large Hadron Collider (LHC) at CERN are extremely costly to build and operate. Nevertheless there is strong interest to increase available beam energies even further to refine the standard model of particle physics and discover physics beyond. 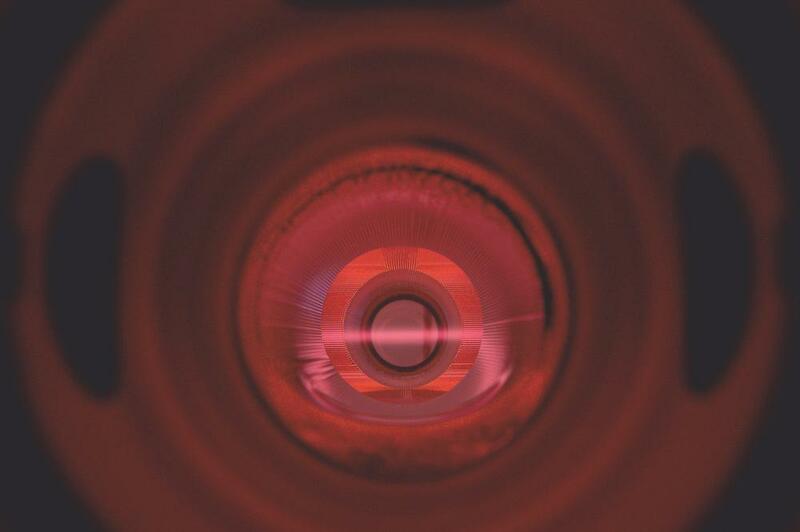 Plasma wakefield accelerators could be the answer to this problem. Today&apos;s bulky structures could be replaced with millimetre-sized plasmas enabling several orders of magnitude stronger acceleration. 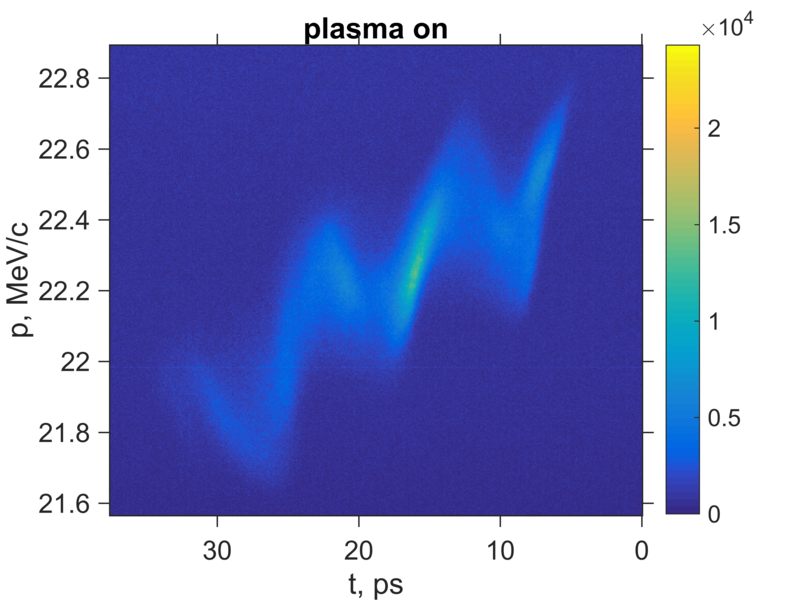 To accelerate an electron bunch in this way the plasma electrons are separated from the plasma molecules, forming a so-called plasma wakefield that creates an immense accelerating field. 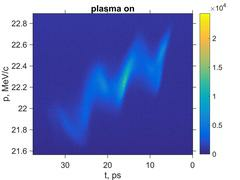 The separation of electrons and molecules in the plasma can be achieved through a high-energy bunch of charged particles. Using proton bunches is very attractive since sufficient energy can be stored in a proton beam to drive a plasma accelerator and generate electron bunches with energies in the LHC regime of tera-electronvolts (TeV) in a single stage. The AWAKE experiment is hosted by CERN to investigate this promising scheme. However, proton bunches as they are generated in today’s accelerators are much too long to be useful in plasma accelerators. Therefore, the generation of suitable proton bunches from a conventional accelerator is a key issue for the AWAKE setup. This task can be accomplished by utilising the so-called self-modulation instability. In this case a plasma wave is initiated at or near the front of the bunch and the resulting electric fields lead to the desired re-organisation of the particle bunches in the beam. This self-modulation effect was described in theory and simulation, but so far only indirect indications were observed in experiment. This is where the unique capabilities of the PITZ facility comes into play, explains group leader Frank Stephan: “The combination of a flexible photocathode laser, high electron beam quality and excellent diagnostics made it possible to demonstrate this effect unambiguously for the first time.” The measurements showed that an incident long electron bunch split itself into three smaller bunches.